Interests - Drawing, making things, looking at comics, skylanders, match attacks, Phineas and Ferb, moshi monsters, X Factor, Tom and Jerry, Scooby Doo, Ben 10, Lego, WWE wrestling, Bakugan, Dinosaur King, Pokeman and Mario, playing on the DS, Wii and Xbox, Arsenal FC, Jessie J (singer) and going to the park. Charlie was unwell when he was born with breathing difficulties and was put on CPAP to help him, although doctors could find no reason for this. After 2 weeks he was allowed home but had trouble putting on weight. He was always wheezy and was given a reliever inhaler. At 3 months he developed a chest infection; from then on he had one roughly every month and was in and out of hospital. It wasn’t until the following January that he was referred to the respiratory specialist at his local hospital. On Charlie’s first appointment he had lots of tests and a chest X-ray taken. He was immediately put on steroids and given a steroid inhaler along with antibiotics and vitamins and referred to another hospital – the Royal Brompton in London. Charlie has continued to be unwell and in current months he has been particularly unwell after developing pneumonia. He has grown a lot of bugs on cough swabs, pseudo, influenza, and strep to name a few. Charlie has a lowered immune system and needs some help to digest his food properly as he has a very acidic tummy. All tests Charlie has had have been inconclusive and not shown any one particular illness. However, he is now being treated as if he has Cystic Fibrosis as this seems to be the best way of managing him. In any one day Charlie takes 2 types of antibiotic, 3 different liquid medicines (one being vitamins and the others to help him digest his food), a power, steroids and 3 inhalers. Charlie also has to have chest physio twice a day to help him move the thick secretions that are in his lungs. When he is suffering from an infection, this is increased to three times a day. He currently attends 3 different hospitals at least once every 4 weeks and he also sees a physio ENT specialist and has his own community nurse. 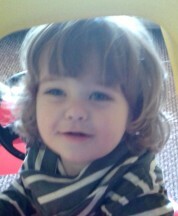 Despite all this, he is a very happy boy who when is well enough attends a pre-school and just loves having fun. Charlie is now moving on from Post Pals and we’d like to thank everyone for all of the lovely post and emails the boys have received over the years. They really have made a huge difference to us at some really horrible times. Thank you to everyone at Post Pals for all the brilliant work you do to put smiles on the children’s faces, it is amazing what you guys do. I would like to wish everyone all the best for the future and thank you once again for everything. I’m so sorry for the very long gap in update. Things haven’t been very good this year. Freddie has been very unwell and we are now at the point of discussing bone marrow transplant for him. We are also currently waiting for him to have a gastrostomy fitted so that he doesn’t have to have an ng tube permanently. Charlie’s diabetes has been quite hard to control and he’s been having lots of vasculitis flare ups. He has full time 1:1 at school now to help him with everything which has proved to be the best thing they’ve done for him. I’m currently concentrating on having as much fun as is possible with the boys between them being in hospital as well as working and trying very hard to complete my teaching qualifications. We are very grateful to Post Pals and everyone that sends us post. We also have a P.A. to help with some things. I’m sure you understand how difficult things are having two children with such intense medical needs and as I say, Freddie is in hospital more than he’s home. Unfortunately heavy iv antibiotics are not working as they should and he now has glucose handling disorder and a type of anaemia which makes the red cells smaller. I can’t remember what its called but it is caused through him being chronically unwell. Charlie hasn’t been great. He now has type 1 diabetes to add to the list, as well as the vasculitis and immune deficiency. He has been growing some odd bugs in his sputum as well as our old friend pseudomonas. He now on nebulised hypertonic saline and colomycin twice daily. We have also been awarded direct payment in order to secure a personal assistant for the boys as their medical load is pretty intense. Charlie is also due to start counselling as he’s finding things hard to deal with. We were at GOSH and they told us that they think Charlie’s condition is progressing much faster than first thought. They have taken DNA and more blood for genetic testing. Unfortunately, Charlie is unfit to leave the country at present so his make a wish trip has been changed to a fantastic weekend in London, ending in a trip to see Charlie and the chocolate factory and a spree in Hamleys, which will be great and is something for him to look forward to. Freddie currently has a chest infection and is on cipro. He is loving pre school but it is very difficult keeping him away from all the bugs going round. Thanks to everyone for everything they send the boys as it really cheers then up. Big thanks to Post Pals. Sorry it’s been a while. Charlie’s not been to good for the last couple of months. He’s got reduced lung function and developed quite bad clubbing of his fingers. He’s also had a ct scan which has showed some changes to his lungs. He’s been started on nebulisers, had his antibiotics changed, and we’re working really hard on physio. Most recently Charlie has been diagnosed with type 1 diabetes. He only came out of hospital on Wednesday evening. He is having to have 4 insulin injections a day and 8 blood sugar tests. He’s coping very well with it all and makes me so very proud. I on the other hand am feeling quite angry about the whole thing and feel it is very unfair, but I’m sure we’ll soon be on an even keel again. It means many more appointments, a lot more treatment and some getting used to. We will soon be getting a carer to help us at certain times of the day as Charlie and Freddie’s regimes are getting more and more complicated so I’m hoping that will help make for a less stressed house! As always, thank you to Post Pals and to everyone that sends the boys mail. Charlie hasn’t been great since Christmas. He has been having lots of chest pain, coughing, feeling sick, headaches, aching joints, and is very tired. His immunoglobulins were dropping and we’ve noticed before that when this happens Charlie is unwell so his treatment has been increased and hopefully this will help keep his immunoglobulins up. He has just finished a two week course of iv antibiotics and seemed well for a few days but he is now coughing again and complaining of chest pain. So we’ll see what happens. He’s due to go into the Brompton in the next couple of weeks to have a bronchoscopy and depending on what they find they will decide whether he, like Freddie, should be started on nebulised antibiotics and hypertonic saline. Charlie and Freddie both have CT scans next Friday to see how their lungs are doing. Charlie has missed a lot of time from school lately and is finding it all a little difficult. On the up side, Charlie has been granted a wish from the make a wish foundation to go to Disneyland and that is giving him something positive to look forward to. The boys have lots of appointments coming up, as well as their 3 weekly infusions. Lately, we’ve never been away from the hospital. Freddie hasn’t been doing well, he’s been on iv antibiotics lots and was on them for 3 and a half weeks in December and again for two weeks before Charlie started his. In between, he has had countless oral antibiotics due to growing lots of bugs in his chest due to continuing growths of pseudomonas and staphylococcus aureas. He is now on nebulised drugs including alternate tobramycin and colomycin. It has taken him a while to get to grips with it all but he is doing. Olliver has been ok apart from missing out on time with me. Thanks again to Post Pals and to everyone that sends the boys lovely mail, it is helping make a difficult time better for them and it is very much appreciated and really cheers the boys up. Charlie has been up and down lately. He’s had a few tummy upsets and a chesty cough which ended up with him on cipro but luckily that did the trick. He’s also been having lots of headaches, some of which are very bad, and he just goes to bed. He gets very upset and cries which is very unlike Charlie. They are causing him to vomit so I’m pretty sure they’re migraines. Charlie has also just been diagnosed with vasculitus which is basically leaky blood vessels. This is causing him quite a lot of intermittent joint pain and we think it’s also causing the headaches and quite bad nose bleeds too, but the standard treatment is immunosuppressant drugs which obviously Charlie can’t take so we are waiting for GOSH to come up with a miracle at the moment!! Charlie, as always, is a lovely boy who takes it all in his stride, although he does of course get fed up of feeling poorly and is starting to question his condition a lot lately asking why he and his brothers have it and why I gave it to him! Which as I’m sure you can understand is very hard to try and explain to a 7 year old and a little upsetting I have to admit. All Charlie’s treatment continues to be the same although we are having more done locally now which is great as getting up and down to London every few weeks for the boys to have their treatment was hard work. Thanks to everyone for all the post as always. Thank you for all the presents and DVDs etc the boys get, it is all very much appreciated. As usual, a big thanks to Post Pals too, you do a fab job. Firstly, thank you to everyone who sent the boys letters cards and gifts this month as they’ve loved everyone of them. Olliver has been quite well other than joint pain and Freddie has finally had his port fitted and started treatment. He’s already had one infection since having the port fitted so it’s been fab already! Charlie is currently in hospital with a chest infection and a small area of collapse in his lung. He’s feeling pretty rubbish and has a high temp and been vomiting. However, when you ask him how he’s feeling, his standard reply of ‘I’m fine’ is all he says! He is clearly not fine and got quite upset during the night as he felt quite poorly. We are hoping to go home ASAP and carry on with the Ivs at home, but at the moment they won’t let him home till they’re happy he’s going in the right direction, so this could be a long 14 days for him! Again, thank you yo everyone who has been in touch with the boys and also for the emails Charlie has had as he enjoys me reading them to him. Right, I better get back to him as we are reading Horrid Henry books at the moment – he suddenly gone mad for Horrid Henry – I hope he’s not taking tips off him though!! Firstly, thank you to everyone for all the Christmas gifts for the boys and the letters from the reindeers – they loved them all. Charlie has been doing quite well, he’s had a few low grade infections that have been treated with extra oral antibiotics, but is doing quite well overall. However, he is struggling quite a lot at school. He has noticed that he is different to his friends and doesn’t really like this. He has started to say he doesn’t want physio anymore and asks when can he stop taking all his medications. Sadly, I’ve had to explain to him that he won’t be stopping his medicines and have explained in a simple way (that he can understand) about his condition. He seemed happier after this and understands a little more. He is very behind at school with his written work and is being investigated for dyslexia. He is finding this very difficult as all his friends are in the top group and he constantly compares himself to them. It makes him sad that he is not as ‘good’ (his words) as them. This is becoming a big problem and he is not enjoying school like he used to. On the plus side, the school are working very hard with him, and in the afternoons he does work with a TA independently from the rest of the class. They are also modifying the work they do as a class for Charlie so that he is able to take part as well to try and boost his confidence as he is a very bright boy. After I had spoken to his teacher he said to me ‘I know you were talking about me and how rubbish I am’. He then went on to tell me he hates his life because of all the medication and hospitals etc. I spent a long time reassuring him and reminding him of all the good things he does etc. He seems better at the moment and just started back at school yesterday, so we will see how he goes. He’s still having his regular plasma infusions and all other medications and we may soon need to think about replacing his portacath as it is very small. His consultant is leaving it as long as possible though as anything like that is obviously an infection risk. Olliver is doing very well. He’s loving senior school and has been quite healthy. His immune system is still doing silly things but is no where near as bad as Charlie and Freddie. He’s still on his regular antibiotics and inhalers but other than that is doing great. He will have more bloods done in February to see if his immunity had deteriorated any further. Freddie has been another story. He has been very poorly (hence the lack of updates) as we’ve been in and out of hospital a lo. We are now currently waiting for him to have a port fitted and begin plasma therapy. He was booked to have this on the 16th September but was too poorly to go under anesthetic. His immune system is very bad and he is currently neutropenic as well. He’s had sepsis infection, staph aureus pseudomonas, and moraxella infections in his chest, as well as ear infections and tonsillitis, all needing iv antibiotics. He also has a primary immune disorder and will be starting treatment as soon as his port is put in. His last lot of ivs (two weeks ago) was horrendous and he now has no vein access due to them being used so much. We had to resort to IM antibiotics in his thigh for 10 days and high dose oral antibiotics. They were not what his consultant wanted, but as i say, vein access is now impossible and he couldn’t go under anaesthetic as his chest was too bad, so that was the compromise. Anyway, thank you to everyone who sends gifts, letters, cards and emails all year round, its very much appreciated. Again, thank you for all the Christmas cards, gifts and letters, they were all lovely and the boys loved them. Carry on with the great work Post Pals, you do a fantastic job. Charlie has not been too bad. He’s had a nasal infection which appears to have gone on for some time but we finally seem to have got on top of it thanks to a new antibiotic and nasal disinfectant. He then got an infection in his eye which he needed antibiotics for and this is clearing up thankfully. To round this month off he then fell down a climbing frame feet first, it was quite a height and he ended up hurting his left foot. After a quick X-ray we discovered that thankfully nothing was broken. However there is soft tissue damage so he has his leg in a support bandage and has been told to stay off it for a short while and keep it elevated as much as possible. Charlie, being the active child he is though, is doing too much on it when it feels slightly better and then is in agony with it and gets to the point where he can’t walk at all on it. Short of strapping him down though I can’t keep him still!! He managed a good lung function test at his review last week which we were pleased with and all his medicines were left the same, so all in all he’s not doing too badly at the moment. Olliver has not been too bad and is enjoying the summer holidays but is excited about starting senior school in September. Freddie has been doing quite badly and he has been started on twice daily chest physio, daily antibiotics, vitamins, inhalers and Gaviscon, so we will see if any of that helps. He and Charlie have hospital on Tuesday and then all the boys have immunology clinic at the end of September, so hopefully all the results will be back from Freddie’s immunology screening and we will know for sure if he has the same condition as Charlie. Charlie also begins genetic testing in September and will be taking part on some medical research to hopefully shed more light on the condition and primary immunodeficiencies in general. As always, thanks to Post Pals and everyone who sends the boys things – it makes such a difference. Charlie’s had an up and down month. He’s had another chest infection with three weeks of cipro and was booked in for iv antibiotics again even though he just finished a course about 9 weeks ago. Anyway, he seems a lot better now and thankfully has not had to have the ivs. He was at hospital last week and they said his air entry is much better and he looks a lot better. He’s having to work very hard with his physio as he is having problems with the right lung where he keeps on getting reduced air entry due to consolidation. He’s getting quite tired lately and has started to notice a difference between him and his friends. The other day he came home from school and was really upset as all his friends had a bronze badge for attendance and he never got one. He was so upset and said he’s never going to get one because he always has to go to hospital. I felt really sad for him. I’m going to speak to school and see if there is anything we can do for him to earn a bronze badge. Speaking of school, there’s still lots of work being done trying to secure his funding as the school are saying he really needs more one to one help than is currently being provided, but health social and education are arguing about who should be paying for it. The whole situation is very frustrating and time consuming with having to attend meetings etc. I just think if he needs help to enable him to achieve his full potential then it should be given, he has enough hurdles in his way without this being another one. On a lighter note, we’re having fun during the holidays. We’ve been bowling and to the cinema and park which all the boys have been enjoying. They are now looking forward to Easter and all the eggs they are hoping to get! As always, thank you so much to everyone who sends the boys post, it is all really appreciated and always puts a smile on their face. Charlie’s not had a very good month. He finished his two weeks iv antibiotics and seemed to be a lot better, but he has since has started coughing and becoming quite breathless again. He is being reviewed soon and we will see what they say. We know there have been some changes to the bottom of his right lung so perhaps this is the reason for the way he is at the moment. He is getting quite frustrated with the way he is feeling and is getting very tired, so all the post he is getting is really cheering him up – thank you. Olliver is doing well at the moment, but baby Freddie has been in hospital with whooping cough. It is improving, so fingers crossed it won’t be too long before he’s better as he’s been coughing for around two months and it is getting less frequent. Thanks again for all the post, it has really helped Charlie. Charlie’s sats have been quite low so he’s been on oxygen over night and his right lung is a bit quiet so he’s having to work hard during physio to try and shift any gunk that is down there. He’s still quite cheerful considering everything and thanks to all for the Valentines cards he received! Hi everyone and firstly thank you very much for the boys Christmas post – it was lovely, as always, and thank you for the memory boxes they received this week as well. Things have been pretty hectic here. The good news is Charlie has a baby brother who arrived a couple of months too early on the first of December, but is doing very well. We have called him Freddie and he is home now and very healthy. The bad news is Charlie has been up and down over the last few months and is now in hospital again for 14 days IV antibiotics for his chest. He has been very tired over the last 2 months with a cough that one minute sounded tight and the next quite chesty, so it was decided he would start IV’s and we will see what, if anything, his cough swab shows hopefully on Monday. Charlie is taking it all in his stride as he usually does, while we run around like headless chickens trying to sort everything out! Charlie never complains and is so brave, he makes me very proud, as does Olliver, of course. Olliver has had many coughs and colds over the winter period and also had the vomiting bug on three occasions. He seems quite well at the moment though, apart from a swelling on the bottom of his right foot, so I’m going to speak to Charlie’s consultant on Tuesday as she is also Ollivers and see what she thinks about it. I will try my best to update soon on how Charlie’s getting on and as always, thank you so much for all the boys post. Sorry it’s been so long since I last updated Charlie’s page. Things have been hectic here and my internet connection has been patchy and driving me mad! One day we have it and the next not! Anyway, Charlie has had a good summer with no additional infections so that has been great and gave us a much needed break. He started school in September and loves it. 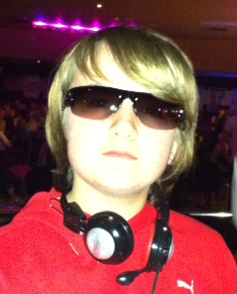 The school have been so good and have done everything possible to make Charlie’s transition as easy as possible. Before he started, the school applied for funding for him of 5 hours a day to help employ a one to one assistant to cover all of Charlie’s additional needs, but they were only granted 2 hours a week which we all agreed was pretty bad, so we are currently fighting to get the hours increased, but at present we don’t seem to be getting very far. I’m finding the whole situation very frustrating and a lot of added stress that we could do without. I think it is really unfair that children with additional needs have to fight so hard for everything, you would think the powers that be would realise this and make things as easy as possible for them to access all things that other children do. Charlie has recently had a skin infection around the area of his portacath and has currently got a chest infection. He is on cipro but is due to be reviewed tomorrow. If the doctor feels that his chest is not much better then he will be booked in for iv antibiotics as we want to try and keep him as well as possible and don’t want infections dragging on and then one going into another. He does seem a bit better but his chest still sounds quite mucky to me and he is very productive during physio which he hasn’t really been all summer. Anyway, we’ll wait and see what they say. Olliver hasn’t been too bad but is having to get used to having daily chest physiotherapy which he is finding difficult. I don’t think his age helps as he just thinks it interferes with him doing whatever he wants to! He has been put on various antibiotics and they are keeping a close watch on his infection burden. If this becomes high they will start him on immunoglobulin replacement therapy sooner rather than later as we don’t want any lung damage etc. He is also being reviewed tomorrow so we will see what they say about him too. His school are not being as helpful as Charlie’s school and when I was at parents evening last week his teacher was unaware that he had any medical issues. I was very angry as just before they broke up for the summer we held a meeting (which amongst others was attended by the head teacher and Olliver’s nurse) and the point of this was to fill the head teacher in on all the issues and ensure that all the information would be passed on to the new teacher to enable Olliver to be supported in the best way possible. His teacher was very apologetic and has said he will find out everything including why he wasn’t told of these issues. Olliver also is on something called school action plus and should have an individual education plan, none of which have been sorted out either. So I’m not happy at present! I will update soon and let you know what is happening with all these issues. I wanted to say thank you very much for the post Charlie has received and the birthday cards he had as well. It is all very much appreciated and cheers him up. He has loved the Toy Story post he’s been getting too as he’s Toy Story mad. Both boys got some Halloween goodies from Post Pals as well, so thank you for that too. Sorry again for the irregular updates and I will make sure I update much more regularly. Again thank you very much for all the post and please know it is all very much appreciated. Hi everyone, I wanted to say a massive thank you first of all for all the post Charlie has received, it has been astounding and we are so so grateful for it. Thanks also for all the emails as he’s loved getting those to. Charlie has also had lots of Toy Story related post and he is absolutely mad on Toy Story so he has been in his element. Again, thank you. Charlie received a summer package which was crammed full of lots of exciting items, he especially loved the tomato plant and can’t wait for that to grow. Thank you very much. Charlie has had quite a good few months. Thank goodness for the better weather as this always brings an improvement to his health. He’s still on the daily cocktail of meds and the plasma infusions but they all seem to be doing the trick in keeping him as healthy as possible. Charlie’s infusion has increased so it now takes around 6 hours to infuse which I’m sure you can imagine is very boring for him, but he manages very well and makes me very very proud. Charlie will be starting school in September and we have thankfully managed to secure 5 hours one to one funding for him per day, so that will ensure he has continuity of who gives him his physio and meds at school, as well as helping him with his work and making sure he doesn’t get to worn out (which will in turn have a detrimental effect on his health). The worrying news is that there is a child in the class with CF and due to the bugs they will both grow this could prove to be somewhat of a problem. The consultant said thankfully it’s not a situation they come across often but when it does it needs to be handled carefully. The specialist CF nurse from the Royal Brompton will be going into the school to inform them of the importance of keeping the two children separated. Hopefully this will make things as manageable as possible and the school have been fantastic from the start which has been a big bonus. Olliver has been confirmed as having an immune system which isn’t as it should be, he has been put on daily antibiotics to try and help prevent infections. His immunity appears to be gradually falling so although not as severe as Charlie’s condition, they think he will end up on replacement therapy and this will be decided by his infection burden. He has also been suffering quite a lot with his hypermobility syndrome and inflammatory bowel disorder, so he’s not feeling his best at the moment and unfortunately I seem to be bearing the brunt of it! It must be very frustrating for him as he’s an active boy who just wants to be like his friends. I asked his consultant to speak with him on the importance of taking all his meds as his cooperation in taking them has been poor for a few months – she did and it has appeared to help, so fingers crossed it will continue. Anyway, I think that’s about it for now. Thanks again for all the post and I’m very sorry we can’t reply to everyone but please know it is very much appreciated. Sorry for not updating for a while. Charlie has been keeping much better of late. He’s not had an infection requiring IV antibiotics since December which is such great news for us. He still attends every few weeks for his plasma and bloods etc but all in all has been much better. He’s got to have more grommets fitted so we are waiting for a date for that as his left ear is causing a few problems because it keeps getting infected causing the drum to burst then fill with yucky stuff. So it’s not nice for him but the good news is his recent one was managed with strong oral antibiotics so we were really pleased about that. He didn’t get into the primary school which we thought would best meet his needs but was given the second school on the list. Lots of people have advised me to appeal etc but to be honest I am going to go visit the school and meet the head teacher and see what to do from there, as if at all possible I would really like to avoid appealing as things are hectic enough as it is. If the school he has been given cannot meet his needs then of course we will go down the appeal route. Everything has been going well with Charlie’s port-a-cath and it has helped a lot with his regular bloods and infusions, although his needle phobia is worse than ever. Charlie is having very intensive help from a psychologist and play specialist for this as it really is horrendous to watch. So all in all, Charlie is doing very well. Olliver has been a different story. He’s still having lots of tests for his immune system and at the moment is neutropenic so is being monitored closely as we still don’t really know what’s going on with him. It seems that his immune system has been slowly declining but as yet we don’t have a name for it. He is on prophylactic antibiotics and various other meds to help, but currently has a heavy cold he can’t seem to shift and it is all really getting him down. He has also been diagnosed as having hyper-mobility syndrome for which he has been having regular physio and pain killers and has been referred to a podiatrist as he needs insoles for his shoes to support his feet and ankles. Whilst all this has been going on, I’ve been hoping to go back to work part time in September, but really don’t know if this will be possible or realistic. I feel I really need to do something for me and would really like to go back, so fingers crossed it works out. I think that’s just about all of our news at the moment and I will update more regularly from now on. I want to say a massive thank you for all the post, gifts, and emails that the boys have received. It has been amazing and they are so grateful – as am I – for the big smiles it puts on their faces. I think it’s lovely that people do this for them, so again, thank you to every single person who has sent or emailed something. Happy new year to everyone and hope everyone had a nice Christmas. Charlie had his port-a-cath fitted without too many problems. He ended up staying in for a week for two different i.v antibiotics as he has a rattly chest and an ear infection. His ear was full of muck and a little bit of blood. He got over it well and we came home Christmas week ready to prepare for the festivities! One of the antibiotics he was given whilst in surgery should have been given as an infusion over an hour, but instead it was mistakenly pushed through his cannula, so that caused a bit of worry as he then had to have a lot of i.v fluids to dilute it, but luckily he was fine. It’s quite a potent antibiotic and can cause deafness and kidney problems in some children if not given correctly, but as I say, he was fine. He also had his first plasma infusion through his new port and it all went very well although it had been accessed during surgery so he didn’t actually know he had to have a needle in it. When we went for his infusion on the 5th of January he had an absolute melt down when he saw the needle they had to put in, he couldn’t understand why he still had to have needles when he had his ‘button’ as he calls it. 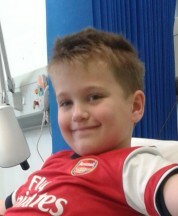 Once it was finally accessed and he saw it was nothing like having a cannula fitted, the look on his face was great. He was so relieved and couldn’t believe how easy it was and so was I because the last few months have been terrible when it came to getting cannulas fitted. We had some bad news about Olliver – he had some tests on his immune system due to various issues. Whilst Charlie was in hospital, the immunologist came to see me and she told me that Olliver’s immune system is like Charlie’s and not functioning correctly and his bone marrow isn’t working as it should. I was quite shocked, as although my instincts told me something wasn’t right with him, it’s another thing to have it confirmed. We’re not exactly sure yet what type of immune disorder he has and they’re not even sure if it is the same as Charlie’s, because at the time we were still waiting for more blood results, so we have an appointment on the 10th February to see what the next step is. I told Olliver and he was very upset as he has seen everything Charlie goes through and being much older means he understands much more than Charlie does. I think I reassured him in as much as at least he has an answer now as to why he has the problems he has with his joints stomach etc and that we don’t yet know what treatment he’ll need. The doctor told me it may be possible to try him on long term antibiotics and see how that works for him before escalating to plasma etc. He is feeling a bit down in the dumps at the moment and I’m sure he would be very grateful for a few smiles if anyone could spare the time. He’s a very private boy so it’s hard to know what he’s thinking sometimes. I wanted to say thank you very much for all the presents, cards, and letters that the boys got over Christmas and also for Olliver’s birthday. They really loved them all. Charlie opened some whilst he was in hospital and they really cheered him up and Ollie opened some after his news and that really helped too. It really does make them smile and Olliver (being a bit older) thinks it is so kind of people that they don’t even know to do that for them, as do I. So again, thank you very very much. Amongst other things, Charlie was sent a Wall-e laptop and hasn’t been off it since – there was no note or anything with it so whoever sent it, thank you very much! Thank you also to all our regulars!! The only thing is, Charlie thinks all post is his now!! Things have been quite hectic here as Charlie has been growing some nasty bugs in his lungs again, namely staph and cepecia, and he was quite poorly with them. I am currently waiting on cough swab results taken on Tuesday to see if anything else is going on down there as he has been coughing a lot again. Both boys have had there normal and swine flu jabs and were fine with it, other than Olliver having a slightly sore arm. We don’t know how successful Charlie’s will be as he doesn’t produce antibody responses, but even a tiny bit of protection is better than none. Charlie’s going in on the 14th of this month to have his port-a-cath fitted so please keep your fingers crossed that goes well with no infections etc. He will also be having some i.v antibiotics through it. Thanks to everyone who has sent the boys post as they really love it. I will send a proper update soon but he has a sore ear at present and just wants to sit with me. I will let you know how everything goes with the port etc and thanks again to everyone who takes the time to send the boys mail. Charlie came out of hospital again yesterday as he had to go in due to another chest infection which hadn’t properly cleared up from the last one three weeks ago. He’s also been growing nasty bugs on cough swabs so isn’t really having a very good time at the moment. We have decided that he is to have a port-a-cath fitted as he’s had so many lines put in his veins are now very bad. I want to say thanks to everyone for Charlie’s birthday cards and presents as he loved them all. Also, thank you for the parcels both boys received with all the books, sweets, and crafty things in. They we’re so chuffed with them. Charlie hasn’t been too bad lately although he has just finished some i.v. antibiotics for a chest infection and bug he was growing. He also keeps getting reduced air entry in his left lung so is currently having to have physio three times a day to help prevent this. He went back to school in September and didn’t cope too well as all his friends have moved up, but as he’s been kept back a year it threw him as he didn’t really know anyone. He’s getting on well now though and is getting used to all the changes slowly. He now has an IEP at school so he’s working toward the goals on that and we’re busy trying to get all the evidence together to support his need for a statement. Charlie also has 5 hours one 2 one support at school to help him with his targets etc but we are hoping for more once his statement has been sorted. He is also going to be taking melatonin to help with his sleeping habits, he’s a very disturbed sleeper and this in turn affects his behaviour so we’re hoping these help. Olliver has not been too well lately and is currently waiting for an endoscopy. He’s always had a lot of stomach trouble and is already on medication but his consultant thinks there is something else going on, possibly some kind of inflammatory disorder and juvenile arthritis has also been mentioned, and they also think that this could be related to his stomach. He’s currently taking co-codamol every six hours which concerns me slightly but this is the only thing that seems to help the pain a little and his consultant has prescribed these so i guess it must be ok. The sooner the endoscopy gets done and they sort him out the better as he’s had a bad year health wise this year too. Thank you to everyone who has sent the boys post as they love it. Charlie’s had post from Cuba, Spain and America, so thank you very much for that and for all the other cards letters emails and pictures. They really are very much appreciated and do put a big smile on their faces. Good news to report! Charlie has been infection free and out of hospital (other than going for the usual plasma and appointments) for six weeks. That is very good news. He has been doing well lately. We’ve just got back from a break in a Haven Park and we’ve all had a really lovely time. Even Olliver seemed to relax and enjoy himself and Charlie and him got on really well – he was very patient with Charlie and they even shared the same room. Charlie wanted to sleep in Olliver’s room tonight, but things were soon back to normal and the arguing had begun after about half an hour of being home! Charlie is still having the many assessments relating to his development, education and behaviour etc. I never realised it was such a long and drawn out process, but hopefully at the end we’ll have the right diagnosis and help for him. His IEP’S are already in place and his school have been great. He will be having a statement of special educational needs so they are busy gathering all the evidence for that, as it is obvious he works much better on a one to one level. This is because his concentration is much better like this, as opposed to in a large group where you never get his attention in the first place, never mind sustain it. More good news is that we have been given 15 hours a month respite care for Charlie. This will enable me to spend some quality time with Ollie and catch up on bits that need to be done. I can also have a rest as Charlie can be very hard work sometimes. I wouldn’t change him for anything though! I wanted to say thank you to everyone who has sent the boys things this month as they were really chuffed. I keep meaning to write down everything they get to say thank you to everyone but I never quite get round to it. Please know though that we really appreciate it and they are so grateful for everything they receive. Also, thank you for the kind letters that I’ve received as well; they have really helped lately as everything has seemed a real struggle, so thank you very much. Once again, thank you very much for all the letters, cards, emails and gifts we have received. Things have been pretty hectic the last few months. We’ve had so many assesments, appointments, and reviews, that my head has been spinning with all the information i’ve been getting! Charlie’s had a couple more hospital admissions for infections where he’s been in for 4 days or so for i.v antibiotics as is his protocol, but touch wood he’s got over it all well. He was also at the Royal Brompton a few weeks ago where they reviewed his recent CT scan etc and they have increased his chest physio to 3 times a day as they said there is much more muccas lying down there now and if it’s not shiffted then obviously it can lead to infection. He’s going to be trying a new device with his physio alled a PEP mask. I’m not really sure what it is but i think the idea is it keeps the airways open longer so it is easier for him to cough up the sputem. It will also allow him to be slightly independent from me and is something new to try and encourage him. It will also be portable so we can take it where ever we go and then if we’re out for the day he can use that and i’d do the hands on physio later when we got home. We’ve also discovered that Charlie has a delay of around 18 months to 2 years with his learning and some of his understanding. It came as quite a shock as i really didn’t think he was that delayed at all. I’ve been told though that with the right help and support he will easily reach his full potential. We are still waiting for a diagnoses of his behaviour etc and it seems to be really dragging on. ADHD, autism, and global delay, have all been mentioned but we have got nothing in concrete yet. I’m keen to hurry it along as i think once we know exactly what we’re dealing with it can be managed in the right way so that charlie is getting the help and support he needs. He was going to be at school in September but we’ve all decided it’s best for him to stay at pre school for another year whilst everything is being sorted out and all the evidence is being gathered for a statement, so that come September 2010 everything will be ready for him to start. Olliver’s been having a hard time lately trying to deal with everything that has been going on and deal with Charlie etc so i’m hopeful that Charlie’s respite care will be sorted soon so that i can spend some one to one time with Ollie, which i really think we need. He deals with everything so well and i’m so proud of him, but i do feel he misses out sometimes as unfortanatly Charlie’s illness, behaviour etc, all have to be the main focus most of the time. It makes me feel so guilty but it’s just the way things are at the momment. One of Charlie’s inhalers has been changed and it seems to be helping with his breathlessness so thats good. Also, he keeps getting reduced air entry in his lungs so that is the reason his physio has been increased to hopefully help prevent the blockages in his lungs that the thick mucas is causing. We had an assessment from Social Services disabled children’s team and they have advised 14 hours a month respite and 5 hours a week domestic help, but it has been passed to the complex care team panel and they hold the purse strings, so we’ll see what happens. His social worker is hopeful, so fingers crossed. Things seem to be going smoother with his infusions now. He dosen’t seem to be vomiting every time he has the plasma now so that’s a step forward. We had quite a scare a few weeks ago as he went to school in the morning and he was fine, but then i had a phone call asking if i could go and collect him as he was crying a lot and saying he was sad. When i arrived he looked terrible, he was a grey colour, his eyes were rolling and he was vomiting, but trying to sleep as well. They were just about to phone an ambulance when i arrived. I asked to take him home and see how he went which thinking now was stupid. Anyway i got him home and he was just terrible. He was absolutely exhausted and floppy so we got him to hospital and they put a cannula in etc and it turned out he’d got another infection. His blood sugar was low and when he was vomiting violently he was unable to get enough air in his lungs, combined with the problems he already had it all made him pass out. That’s Charlie though – he never does anything by halves, bless him! He seems well at the moment so i’m hoping it will last a while as we’re going to a Haven site at the end of June for a well deserved break for us all. Both boys are so excited as they absolutely love Haven and Charlie thinks the caravans we stay in are actually his. He’s always asking to go to his caravan! I just wanted to say thank you for all the cards and gifts Charlie has had lately. You wouldnt believe how much they cheer him up. Thank you for the books both boys were sent and Charlie also received a parcel from a grandma in Spain, so thank you so much for that – he loved it as it was full of his favourite things. They’ve also had postcards and lovely hand made cards, so thank you to absolutely everyone who has sent them things, it is very much appreciated. I have also received some lovely letters, it is so kind of people to go out of their way and do that. It’s one thing to do it for the kids but it was so nice for me to think these people are actually thinking about all of us. So, once again, thank you very much. Charlie hasn’t had a great month as he has been in hospital again with another chest infection and was again put on iv antibiotics. He had an appointment with his immunologist and they have decided to increase the immunoglobulin infusions to see if this helps as he seems to be developing an infection the week before an infusion is due. We have had lots of meetings regarding Charlie and his problems and we finally seem to be getting some help with things. We have a social worker from the disabled children’s team coming to visit us and talk about respite care and we have lots of support from Charlie’s consultant community nurse, so fingers crossed it will be a simple process. We are also waiting for an appointment with another doctor for Charlie’s behaviour and hopefully some help with that. Thank you very much for the Mother’s Day wish i received this month. It was very kind and cheered me up, especially as we were in hospital for Mother’s Day due to Charlie’s infection. Charlie’s not had too bad a month. He had his tonsils out in February and all seemed to be going well, until a week later when he got a nasty infection. He was admitted back into hospital and put on two different i.v antibiotics for three days which seemed to do the trick. He then had his plasma infusion a week later where they checked his throat again and said it wasn’t healing as quickly as normal, but it wasn’t totally unexpected as he does have an immune deficiency and his body obviously doesn’t heal as quickly. Charlie’s behaviour has again gone down hill. We have an appointment with the community paed coming up as his consultant and school think it is very likely he has ADHD and that the sooner we can get some help with it the better. He is also being assessed for respite care at the request of his consultant as well, who says he does qualify, so we are waiting to see what the social worker from the disabled children’s team. I would be a bit nervous about him having respite but think it will do Olliver and i good in the long run, as it will enable me to spend more time with him as i think he has been feeling left out lately. Charlie is also going to be having much more support at pre school now and has been put on an individual education plan amongst other things, so fingers crossed all the support he is getting will help him. Thanks again to everyone who sends post as the boys love it. Thank you to every one who sent the boys Valentines cards too, they were all very much appreciated. Happy New Year to everyone and sorry for the delay in the update, things have been quite hectic. 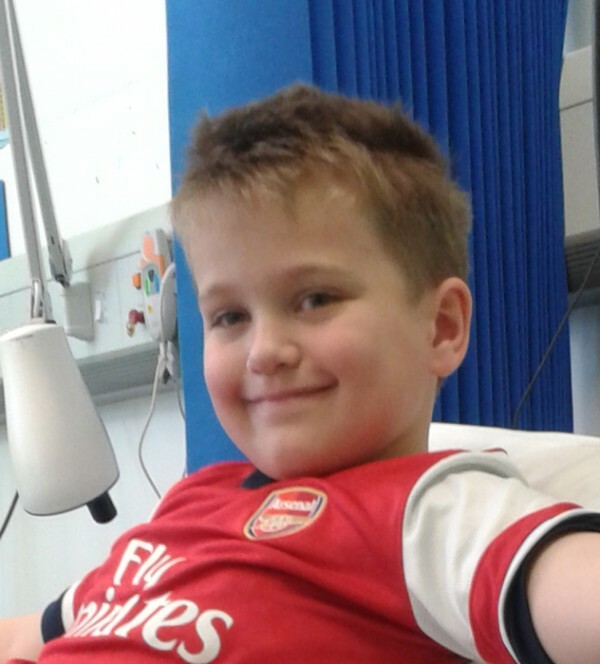 Charlie finally started his plasma infusions just before Christmas. We got there for his first infusion at the beginning of December and whilst i was talking with his consultant and signing the consent forms etc Charlie was having his observations etc done by the nurses. He had a high temperature which i initially thought was just due to the fact he’d been running around playing, but within a short time he became quite unwell with a rising temperature and was very dehydrated. This really surprised me as when we left home, apart from being a bit tired, he seemed fine and certainly didn’t seem dehydrated as he was eating and drinking normally. They put a cannula in for fluids then sent him down for a chest x-ray which showed another infection at the base of the left lung. He was started on gentamycin and cefuroxine I.V antibiotics and continued to look unwell with a temperature for a good few days, after which he seemed to improve nicely and we were home in about a week. So his plasma infusion was rebooked for 2 weeks later. He had this one fine without any hitches and not too many side effects, so that was all good. He then had his longest run of good health in 3 years and didn’t have another infection until last week when he got tonsillitis and a urine infection. He was treated with strong antibiotics for 10 days and improved nicely which i was thrilled about. He has had a few episodes of sickness and stomach upsets but we have been able to deal with these at home and he has got better quickly. Unfortunately, his brother had pneumonia all over Christmas and was quite poorly. Olliver has lung damage caused through his lungs collapsing when he was a baby and he also has a blocked valve in his heart. These haven’t caused any problems for around 2 years, although he still takes all his meds etc. Anyway, this pneumonia has exacerbated it all and he is still not back at school. He is a lot better though and hopefully will be back at school tomorrow depending on the snow! Charlie is due to have his tonsils out and grommets put in on Thursday, but due to his illness has to have 24 hours I.V antibiotics before hand and obviously cannot go in as a day case. That is the usual practice here but there doesn’t seem to be much communication between St Mary’s hospital and our local one where he has shared care, so I’m waiting for them to call me today and let me know what’s happening. The other thing that’s happened is that Charlie is being assessed for a statement of special educational needs. His behaviour has become hard work and he has had a lot of time off due to all the illnesses he’s had. When I took him to nursery on Thursday she said she has informed SENCO and with my agreement they will come and assess him. She thinks he needs one to one whilst in school and that this will make things easier for them and him. So fingers crossed he will get the funding for this. I have spoken to his consultant about it and she thinks it’s a good idea. She also said a lot of names will get mentioned like autism and ADHD but to just wait and see what his final diagnosis with regards to that is. She said she can’t stop me worrying but I should see it as a good thing as there are a lot of children who need help but who can’t get it. We have quite a busy month coming up with more infusions, his operation, assessments, and half term, so we’ll see how that all goes. Now I think it’s about time we go and build a snowman and enjoy the snow for a while! Charlie has had an up and down month, he was only back at pre school a week after being off for a month and then he became unwell again and is growing another bug in his chest (moraxella catarhalis) so has not been back since, although we are hoping he can go back tomorrow. Things have been very confused with Charlie starting his immunoglobulin infusions as Great Ormand Street wanted to wait until February to start them but because of all the infections he has had and the state of his lungs from his most current x ray, St Mary’s are not prepared to wait and are starting them next week for definite. St Mary’s have told us that he has combined immune deficiency and they have increased his current prophylactic antibiotic and put him on another stronger one to try and build him up a bit before his first infusion. They have told us the first couple are not going to make him feel too well, as they draw out all the bugs and infection that is lurking around his body so that the antibodies he is having can fight them off, where as at the moment his body is unable to fight infection properly due to his lowered immunity. I have been told to keep him away as much as possible from people who are ill and have coughs and colds etc and also chicken pox as they can have nasty complications for him. So we had a tour around the ward and met the nurses and his new immunologist who were all really nice. There will be a lot to do on his first infusion next week as we are going to be having a new protocol drawn up and and i also need copies for his local community nurses and hospital. The doctors at St Mary’s also think it is possible he has some small areas of collapse in his lungs, but they will not be repeating his CT scan until they have got him as healthy as he is going to get, so that they can see the true damage to his lungs. He has been very breathless lately and has been unable to run around and do the things he normally does. He has found this very frustrating and it has made him very upset and angry and he has been lashing out a lot, although when he feels unwell his behaviour does change for the worse understandably. Thanks again for the post he has received as it cheers him up no end. This month he has had a couple of cards and a lovely Bob the Builder annual from Kate. Thank you also Kate for the letter and stickers for Olliver, he really liked them. If possible please keep us in your thoughts this month and hope that the first infusion goes smoothly and he doesn’t feel too ill with it. He will have them every three weeks and so his next one is scheduled for the Monday before Christmas. It would be nice for him to really enjoy Christmas as he has put up with much more than any child should this year. Much love to all the other Post Pals families and wishing you all a happy Christmas. Charlie has had another bad month and has ended up in hospital with a severe chest infection. He had to have IV antibiotics and was on oxygen and at one point needed seven nebuliser treatments one after the other then every hour thereafter. He is now confirmed to have a primary immune deficiency and will start immunoglobulin replacement therapy this month at G.O.S.H. We are hoping that this makes a big difference to Charlie as he has now got some lung damage which includes shadows and enlarged lymph glands in his left lung by his heart. He is still very wheezy and needs 10 puffs of ventolin inhaler every three hours. He was unwell yesterday and we found out he has red enlarged tonsils and an infection in both ears, with one of his ear drums bursting due to the pressure, so he is in pain from that as well. At the moment we are feeling very sorry for Charlie and he is feeling sorry for himself. He is very tearful and clingy but the post he has been getting is really cheering him up. Olliver has also had some post this month as well so that has cheered him up, as i think he feels pushed out at times due to all the care etc that Charlie needs. He also had to miss out on a friend’s birthday party that he was looking forward to because Charlie was in hospital and although it can’t be helped, it is still disappointing for him. Charlie has a few appointments this month, three of which are only a few days apart so we’re in for another busy month. Thanks again for all the kind post, it really does make such a difference, especially when the going gets tough. It’s really nice to think that other people are thinking of you, so thanks again. Thank you to everyone who sent Charlie a birthday card or present, he loved it all, especially the pop party CD which he asks to have on all the time! Thank you to Post Pals for the Halloween posty as both boys really loved it and Olliver was really pleased to get some post. Charlie’s not doing to well at the moment, he has a right sided lung infection and he is to start plasma infusions at Great Ormand Street to try and improve his immune system. We are not sure when this will start though as it was only decided on Thursday. Charlie hasn’t had a great month. He was in hospital again suffering from another chest infection so has been on different antibiotics called cipro and prednisilone steroids. He had a couple of cough swabs taken which didn’t really show anything up apart from a heavy growth of candida in his mouth, due to all the medication he takes. He has been off his food and drink so got slightly dehydrated which meant he needed to take a special drink with extra salt and things in. Just before he was diagnosed with another infection, his behaviour at pre school really changed. He started to become very aggressive and was crying a lot which is very unlike him and even his play leader said that. It has now improved and gone back to normal so we think it must have been because he felt poorly, which is a relief. He still has a bit of a wet cough but nothing like it was and he is much less tired now so he is definitely getting better. He has another week of cipro then back onto his normal prophylactic antibiotic augmentin. He went back to pre school today and loved it – he gave out his birthday party invites, so was very proud of himself for that! He has a busy October ahead as he is due to be seen at St. Mary’s hospital on the 9th, then the 10th is his birthday, on the 11th he and his brother have their flu jabs and on the 12th it is his birthday party! Fingers crossed he carries on improving and gets over this infection and has a long break before the next one! Thank you very much to everyone who has sent post to Charlie, it really brightens him up. Also, thank you very much to Post Pals for the Thorpe Park tickets, we are hoping to go next week and have lots of fun. Thank you to Helen for the bob book; hope your wrist is better. To Maddy and Holly for the cards and for the Buzz Lightyear book and the sweets for Oliver – they loved them thank you. Charlie was at clinic a few weeks ago and unfortunately has been referred to another London hospital as he is having a few problems with his immune system despite all the treatment he is on, so they now need to find out if there is a separate problem relating to this, or if it’s all to do with the one illness. We should hear from them soon. He seems quite well at the moment, although the last couple of days he has been sneezing and coughing a bit, but fingers crossed it won’t come to much. We have been advised he should have his tonsils out, his nose cauterized, and grommets put in, so we have a lot of hospital visits coming up but as yet have no dates for anything. Fingers crossed for a good month health wise in September and thanks again for all the cards letters and gifts people have sent Charlie. They are all very much appreciated and he loves receiving it – he gets so excited every time he hears the postman.